Snacks Worth Their Salt - Edamame by Mark Bittman, NYT, October 1, 2012. Love these little nutty green nuggets. Mmmmm. The Extraordinary Science of Addictive Junk Food by Michael Moss, NYT, February 20, 2013. This is a long excerpt/adaptation from the the book "Salt Sugar Fat: How the Food Giants Hooked Us." We are pawns in the hands of the food industry. 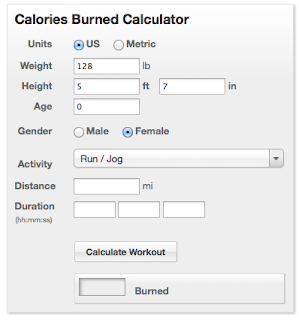 Calculate your calories burned - by mapmyrun. I'd heard the rule of thumb that we burn about 100 calories a mile running but this little calculator may provide a little more precision as it incorporates gender, height/weight, age, distance, and speed matched with a LONG list of activity options - including Zumba, P90X, lawn mowing! I came up with about 108 per mile running, 44 per mile biking, and about 240 per mile swimming. For me it's about 800-830 per hour to run/bike and about 500 per hour swimming. Has the Marathon Boom Peaked? 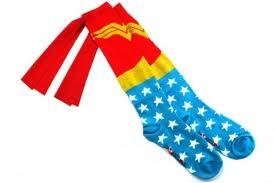 by Scott Douglass, Runner's World, February 26, 2013. My gut tells me we are seeing a bit of a pullback in the marathon distance or at least I have felt/observed that in our local running community. Half marathons seem to be the go-to distance and my guess it is because we have less time to commit to the training. Life seems to be accelerating for most of the folks I know, we are working more and have less leisure time. Think Outside the Box by Coach Eric Neilsen, February 25, 2013. 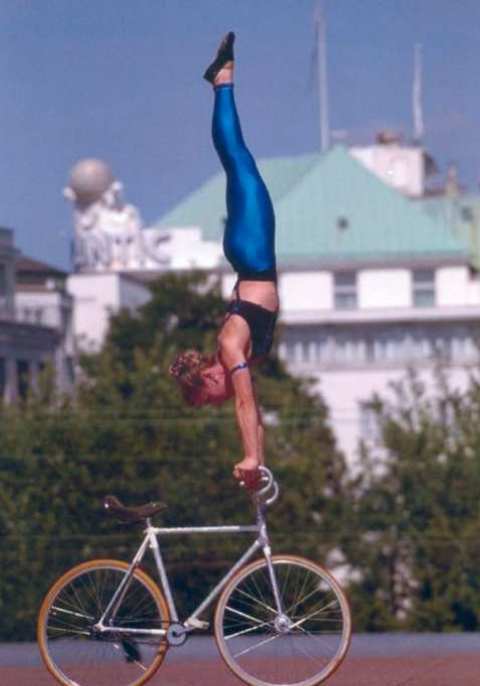 Under the bike show photos (very cool) is a list of 28 "Out of the Box" ideas to spice up your swim/bike/run - things like biking while standing for 20 minutes or watching swimmers from the bottom of the pool! 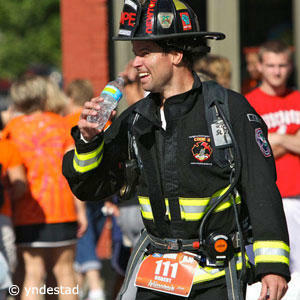 Rob Verhelst aka Fireman Rob by Herbert Krabel, Slowtwitch, Feb 27, 2013. Rob has completed TEN iron distance triathlons including Kona, running the marathon portion in full firefighter gear - about 50 hot, heavy, uncomfortable pounds. I love stories like his that put our own personal efforts into perspective. WOW! 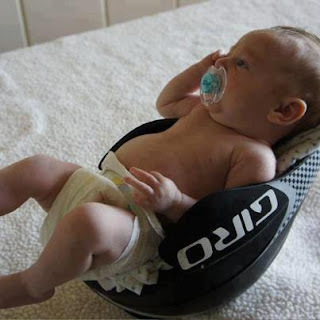 Pro Triathlete Twitter Feed - want to follow the tweets of 125 professional triathletes? Subscribe to this list, compiled by TriCrowd. Carbon repairs have you covered by Jill Janov for Bicycle Retailer, August 14, 2012. There was a time that a damaged carbon bike frame meant the end of the line for it. Now there are repair options that can get you back on the road for a lot less than the cost of replacement. 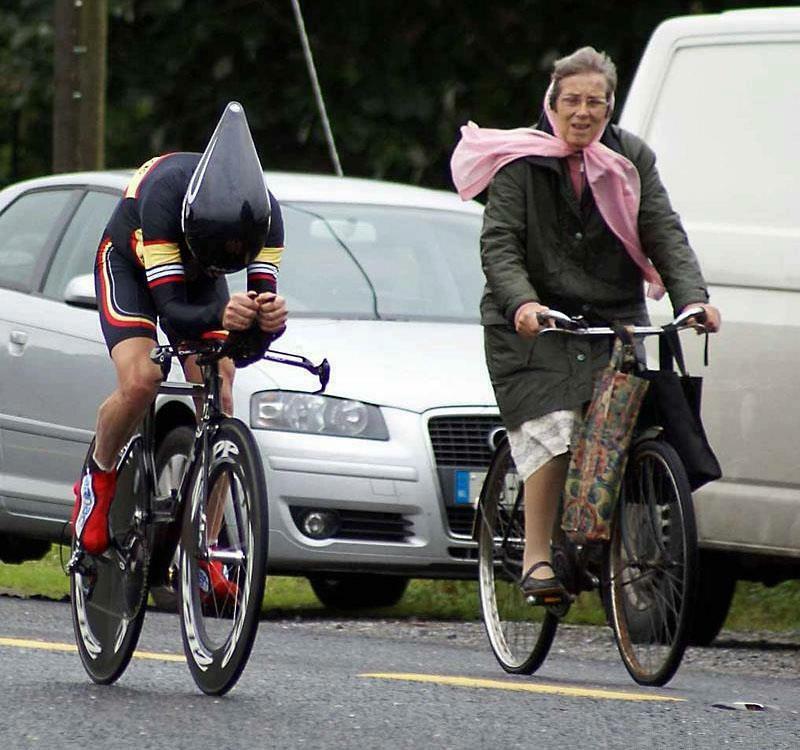 Have you noticed that most of the funny/entertaining stuff involves cycling? Running fodder tends to be more serious and inspirational, and sorry swimming, but you really need to work on being funnier. Here's two videos -- cooking an omelet while on bike rollers and my favorite, the "surprise, you are in a bike race" gag! 46k + 1k to grow on b-day workout ....FIN! Yep, it's my birthday! 46k of celebration ahead! Chipping away at those swim times!